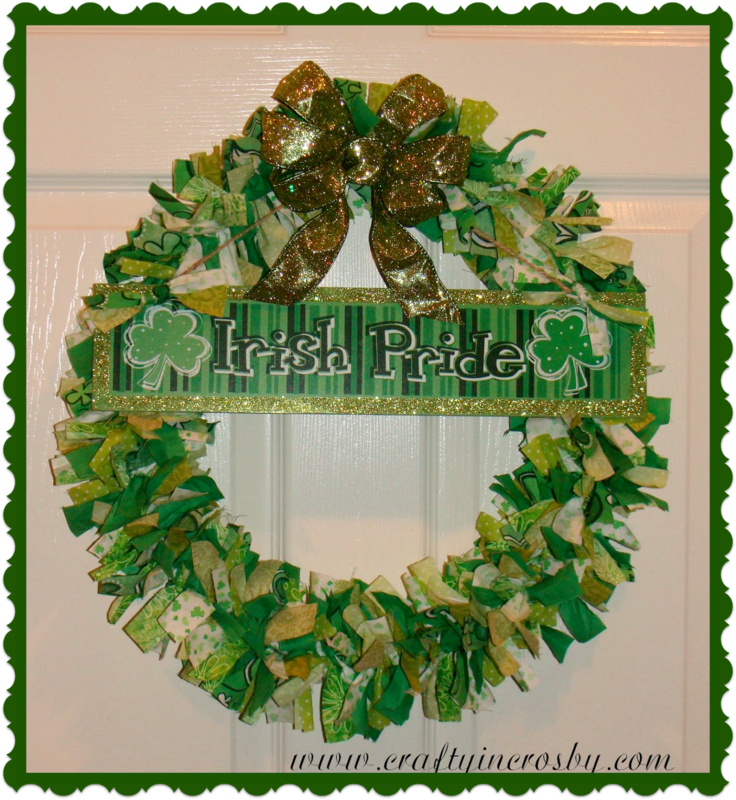 A friend of mine came over last weekend and was shocked that I didn't have a St. Patrick's Day wreath on my front door - so Marty - this one's for you!!! Once again, inspired by Pinterest from The Magic of Ordinary Things Blog. I used wire coat hanger that I untwisted and straightened out the hook. Then I twisted the ends together to form a circle. I used 5 or 6 fabrics that I cut into 1 x 6 strips. I simply tied the strips on to the coat hanger circle. 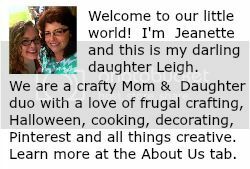 The sign came from the dollar store and I tied strips of fabric on to it and then attached it to the wreath with a sparkly bow. So there you go Marty - are you happy now? LOL! Happy St. Patrick's Day! Here it is hanging on my front door. This would also be great as an Easter Wreath.